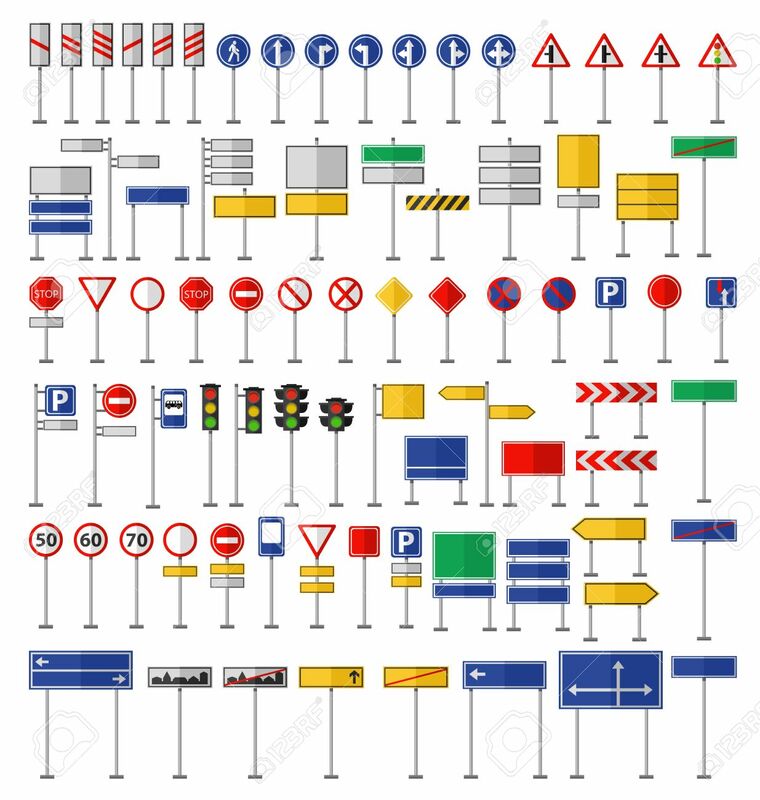 Road Signs And Symbols. Flat Road Signs Set. Traffic Signs Graphic Elements Isolated On White. Great For Infographic, City Construction Mobile Apps. Flat Design Road Signs Concepts Creative Vector. Royalty Free Klipartlar, Vektör Çizimler Ve Stok Çizim. Image 64072556. Stok Fotoğraf - Road signs and symbols. Flat road signs set. Traffic signs graphic elements isolated on white. Great for infographic, city construction mobile apps. Flat design road signs concepts creative vector. Road signs and symbols. Flat road signs set. Traffic signs graphic elements isolated on white. Great for infographic, city construction mobile apps. Flat design road signs concepts creative vector.